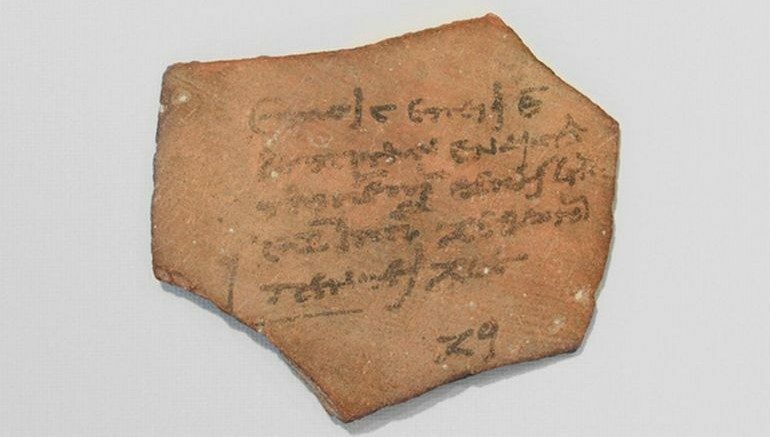 Mirroring our present-day complains with taxes, an ancient Egyptian receipt (made of pottery fragment) contains a Greek-based transcript that says a land-transfer tax was paid by a man and his friends (name not identified), and the sum amounted to a total of 90 talents with 15 talents of charge added later on. Now in case you are wondering, talents pertained to a concept of currency (and also weight) in ancient times, with each talent being equivalent of 6,000 drachmas (Greek currency). In other words, the tax paid for the land acquisition amounted to a whopping 540,000 drachmas. The entire tax was paid to a bank situated in Diospolis Magna (or Luxor), with the receipt exactly dating from July 22, 98 BC. During this time, Egypt was ruled as a successor (Diadochi) state to Alexander the Great’s short-lived empire, and the Macedonian/Greek dynasty was known as the Ptolemies (named after Ptolemy, a general of Alexander). Interestingly, as for the tax sum itself, paper money was not yet invented – and so the money had to be paid entirely in coins. But of course, there were no coins that could denote the huge talent value, with the highest denomination accounting for a ’40 drachmas’ coin. So mathematically, 150 coins of such denominations were used for a just a single talent, while an extraordinary number of 13,500 coins (of 40 drachmas value) were paid to fulfill the total sum of 90 talents. There is also the question of weight in this historical scenario. To that end, according to Catharine Lorber (an independent scholar with numerous published journals on Egyptian coins to her name), each of the 40 drachmas denominated coin weighed around 8 grams (or 0.3 ounces). So the total weight of 90 talents in coins would account for (135000 x 0.008) kg, or 108 kg (around 237 lbs). In other words, it is pretty much proven – tax money with weight of over 200 lbs was sometimes paid during the ancient times by the rich Egyptians! And to put things into perspective, an unskilled worker was expected to earn around 18,000 drachmas per year during the contemporary timeline. The considerable weight of the fund also begs the questions – how did these coins reach the bank? Well in Ptolemaic Egypt, the realm had a certain category of state employees known as ‘tax farmers’ to thank for the job. Taking responsibility of both transportation and handling the tax money, these people were answerable for physically sending the ‘back-breaking’ weights to the banks. In case of the big loads, like in this case, the coins were safely stored in baskets and then transported atop donkeys. And lastly, there is also the uncertainly about the aforementioned surcharge of 15 talents. According to Lorber, this was a form of legally-fueled penalization known as allage, because of the payer’s inability to pay a part of the tax in silver. This further strengthens the previous hypothesis that a large part of the 90 talents was actually paid in bronze coins. The tax receipt in question is located in the archives of McGill University, in Montreal – and, it was studied by Brice Jones, a Ph.D. student at Concordia University in Montreal. Feature Image Credit: Rare Books and Special Collections, McGill University Library and Archives.